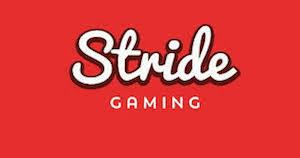 Stride Gaming, the AIM-listed igaming operator, has announced positive trading momentum and financial performance in line with expectations. At the company’s AGM today, non-executive group chairman Nigel Payne provided a board update detailing that the Alderney-based firm is well-placed to negotiate changes to the regulatory landscape thanks to its scale and multiple brands. Payne said in a statement: “Stride Gaming's positive trading momentum has continued into the start of the financial year and the group's performance is in line with the board's expectations. "The core real money gaming business continues to perform well, supported by the strength of our first-class proprietary platform, contributions from the acquired 8ball and Tarco businesses that are now fully integrated, and the encouraging start of the Aspers Casino partnership. "The group has continued to execute on its strategy to develop as a leading online gaming operator, underpinned by further investment in resources and people across a range of functions including technology, business intelligence and marketing. “Regulation remains central to shaping the future of online gaming, however as a multi-brand operator with scale, Stride is well placed to manage the changing regulatory landscape. As a result of this progress, the board believes Stride Gaming is well positioned to capitalise on further growth opportunities and deliver value for all stakeholders."